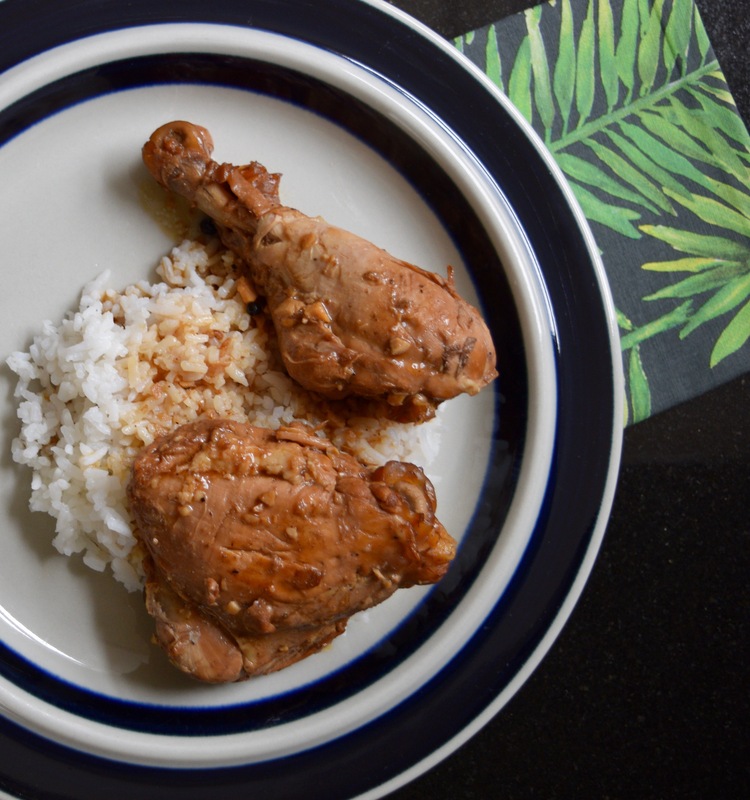 When I was in my 20s, my dad hand wrote his chicken adobo recipe for me. I made it once, possibly twice, still feeling like I had eaten a lifetime of adobo during adolescence. I lost the recipe he gave me, most likely in one of the many moves I made during my post-college years. 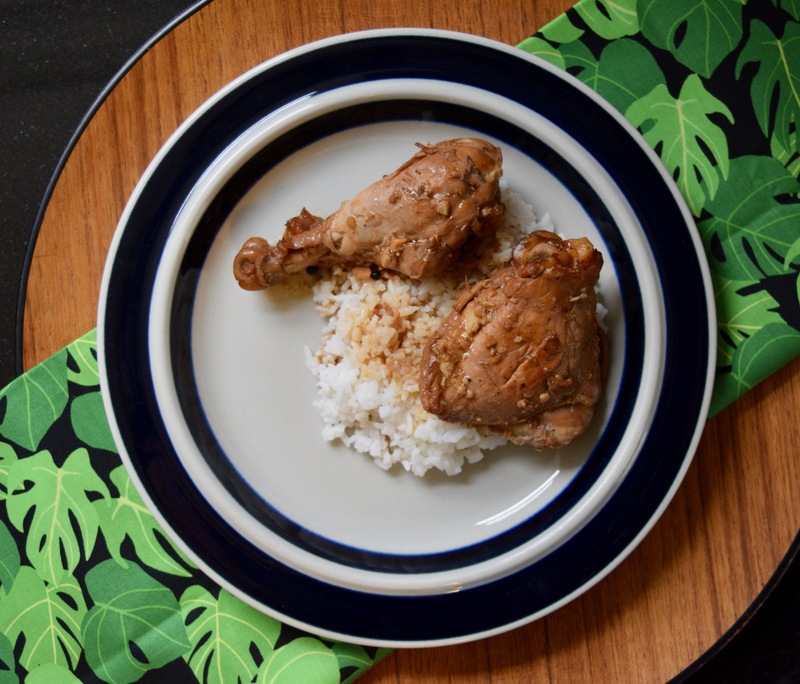 After my dad died last year, I felt a pull to make his chicken adobo. I scoured my recipe files, but couldn’t find the piece of yellow legal lined paper he used to use. It felt heartbreaking not to have his recipe, written with his hands, a memory that I needed. A month or two after my dad’s passing, my cousin and I spent an evening together pouring over my aunt’s handwritten recipes. She kept a large binder of her favorites. We discovered that many of the recipes in my aunt’s binder were from her brother, my dad. 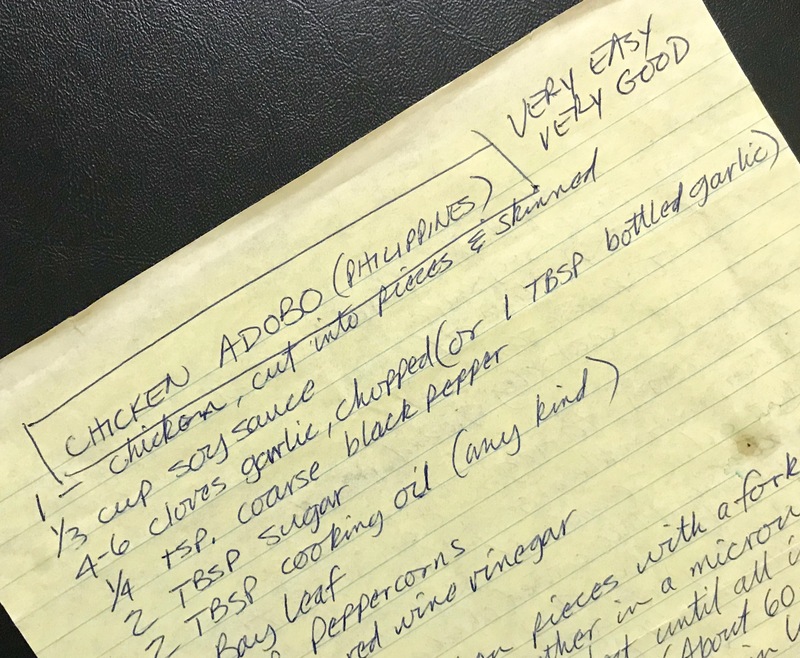 His chicken adobo recipe, handwritten on yellow lined paper was among the many in her collection. Understanding its importance, my cousin gave me the recipe. When I made the dish last year, the moment the vinegar and soy sauce started bubbling, I was transported to my dad’s kitchen. Food memories are for real, folks. I never gave the stewed vinegary, peppery dish much thought, but now, it’s back in my rotation. I love pulling out that sheet of paper and looking at my dad’s notes that he wrote. I love thinking about all those chicken adobo dinners we shared over the years. I’m here to tell you that this dish is perfect as is, and yes, I’m deeply biased. My dad used to buy a whole chicken and cut it up for this dish. If you want to save time, I suggest buying 5-6 individual legs, thighs or breasts. Puncture chicken pieces with a fork. 2. Except for chicken, mix all ingredients together in a small saucepan. Heat until all ingredients blend well when stirred. 3. Place chicken in a large stovetop pan or skillet. Pour heated liquid mixture over chicken and simmer for 45 minutes. Turn chicken pieces every 10 to 15 minutes. 4. Serve with steamed white or brown rice. We are SO glad to have this recipe! First of all, because it came from your dad (and you), and secondly, because Adobo is one of Carl’s long-time favorites. We will think of Herb whenever we enjoy making and munching it.